A book talk by Judge Virginia Kendall, U.S. District Court, N.D. Ill. and Peter and Patricia Gruber Faculty Fellow, Yale Law School. Each year, more than two million children around the world fall victim to commercial sexual exploitation. The numbers of children sexually abused for non-commercial purposes are even higher. The aim of this book is to bring some fresh thinking to this complicated area of the law, and to help erase some of its counterproductive mythology. 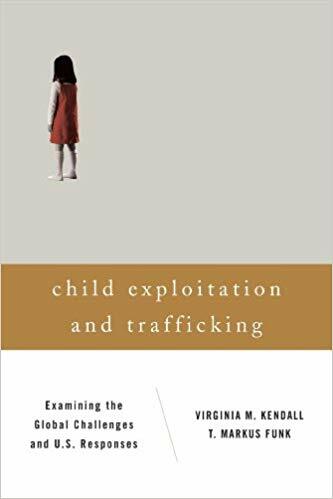 The book provides the first comprehensive, practical introduction to the history and present-day reality of child sexual exploitation, as well as to the interconnected web of domestic and transnational federal laws and law enforcement efforts launched in response thereto. It is written from the distinctive perspective of those who have spent their careers in the trenches investigating, prosecuting, and adjudicating these intricate and commonly emotional cases. The Honorable Virginia Kendall is a Visiting Lecturer in Law and the Peter and Patricia Gruber Fellow in Women’s Rights at Yale Law School and United States District Court Judge in the Northern District of Illinois. She is teaching a Fall 2018 seminar on Child Exploitation and Human Trafficking. Among other things, she has sat by designation numerous times with the Seventh, Ninth, and Federal Circuit Courts of Appeal. Prior to her appointment, she worked for more than ten years as an Assistant United States Attorney in the United States Attorney’s Office in Chicago where she was Deputy Chief in the Criminal Division, Child Exploitation Coordinator, Project Safe Neighborhoods Coordinator, and tried dozens of jury trials.